The RAAF’s sixth C-17 Globemaster airlifter touched down at its new home base of RAAF Amberley on November 6 at the end of its delivery flight from the US. 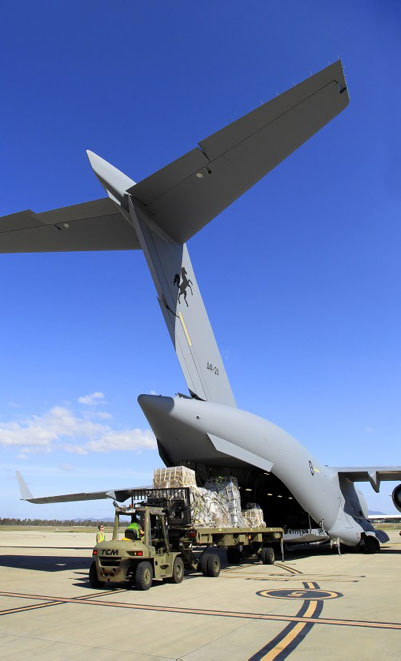 C-17 A41-211 was formally handed over to the RAAF in a ceremony at Boeing’s Long Beach plant on November 1, and it joins five other C-17s in service with Amberley-based 36SQN. 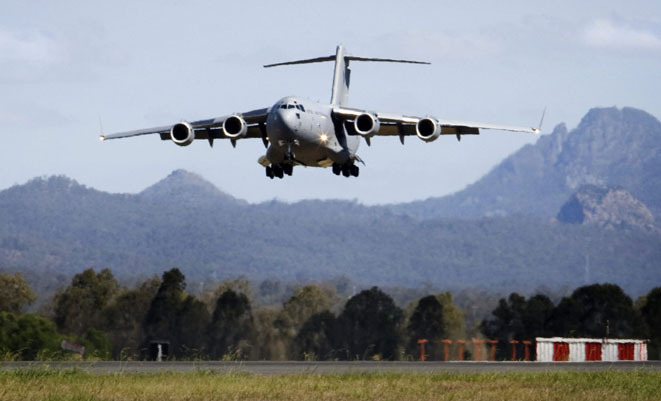 The RAAF says the fifth and sixth C-17s (the fifth was delivered in late 2011) “effectively” doubles 36SQN’s airlift capabilities compared to the original fleet of four C-17s, due to maintenance and training being spread over more airframes. 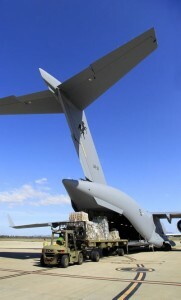 The first four C-17s were delivered between 2006 and 2008.